Baby footie in very soft chenille. Material 80% cotton and 20% polyamide. Grey color. 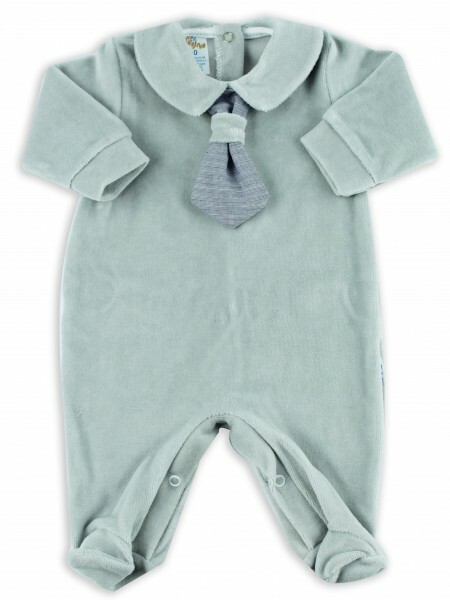 Baby footie with shirt model collar. On the front you are wearing a tie in checkered pattern. Size 0-1 month. Opening in the back and to the horse with little buttons with pressure to facilitate the change. 100% made in Italy, guarantee of quality and authenticity of the product.